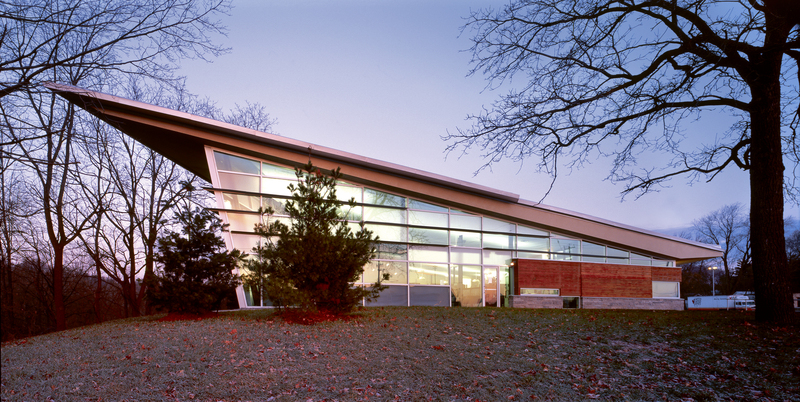 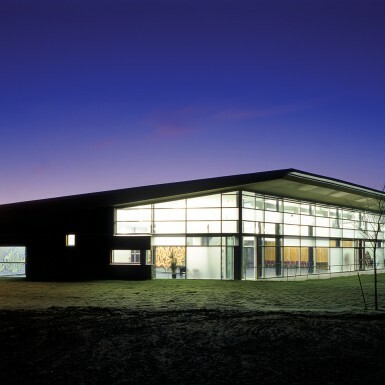 This combined library and community centre overlooks Petticoat Creek on the western edge of Pickering. 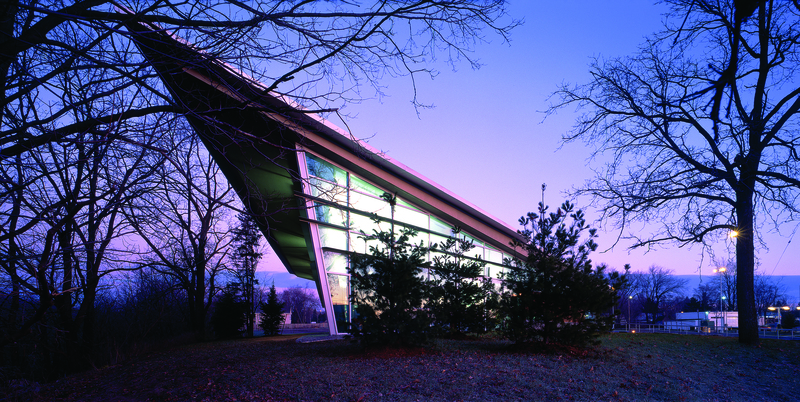 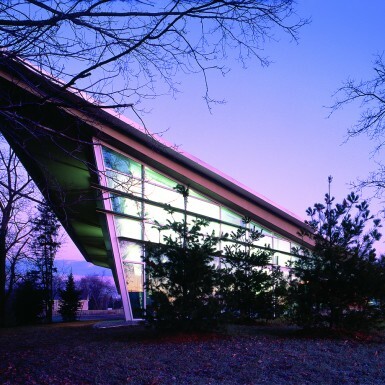 A large roof lifts upward toward the ravine, shading the facility and framing the exquisite view along the creek. 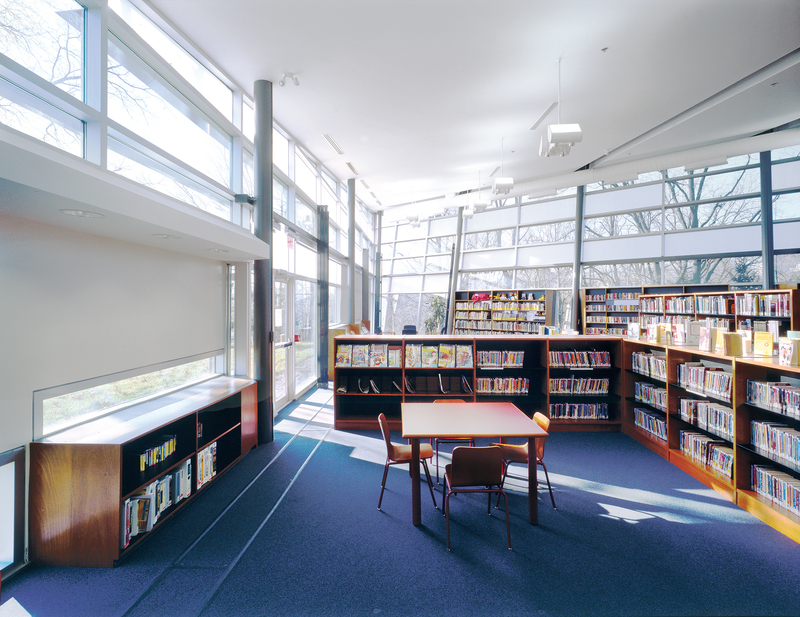 Translucent glazing is utilized to create a softly-lit interior environment appropriate for library use. 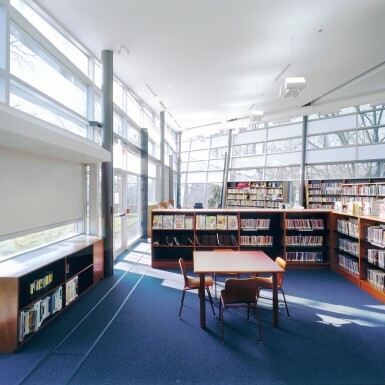 The facility houses community spaces as well as a branch library. 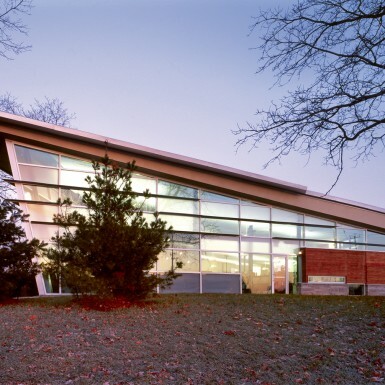 These programs come together in a central, shared gallery space, often used for art exhibits. 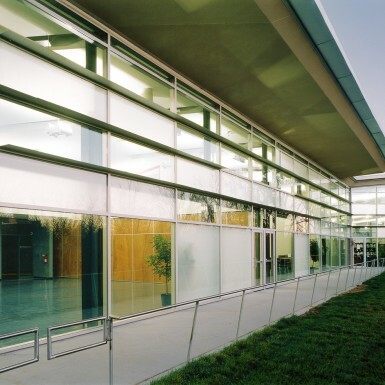 The building has an outdoor terrace along the ravine edge, where users can enjoy views to the surrounding landscape.